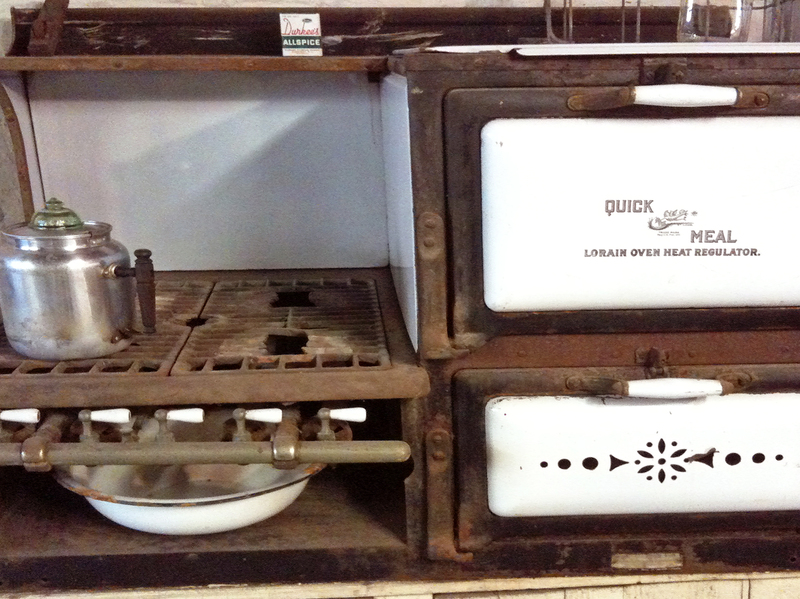 In the basement of our old house sits a Quick Meal gas cook stove. I googled “Lorain Quick Meal” but get recipes for quiche lorraine. I’m not certain, but I suspect this oven never baked a quiche lorraine. Do you know in what year it was manufactured? It looks like an antique but since it is a gas stove, it must be a little newer that it looks. You’ve got me curious about it now and I’ll look it up on google as well. Interesting. When we moved in, the gas was still connected! I nearly blew up our house. Try the website http://www.antiquegasstoves.com. I googled Lorain gas stoves and a ton of sites came up. Awesome website! Thank you! Our old house has been filled with mysteries. In the carriage house, I found an old army foot locker–complete with old newspapers. I bet a lot of venison stew got made .. and maybe cornbread. Probably did some canning, too. Tomatoes and green beans. I do! I love folks helping us solve the puzzle, too. Thank you! I actually tried to google around to help you out, but I didn’t find anything useful. Just some stuff on oven regulators..
Did you ever find out what it was worth? I now also have a quick meal stove ive inherited and have been trying to find out what its worth. I haven’t even tried to find out its worth. Sometimes Tom will say, “We should sell that” and then we look at each other and just go upstairs. It seems like a lot of work for probably very little money. And then, there’s the thought that it’s been in this house for maybe a hundred years, you know? Who are we to sell it? Sigh.